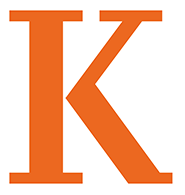 Annual gifts to the Kalamazoo College Fund are put to use immediately and make a lasting difference in the lives of current students. Gifts may be directed to one or more areas of need: student scholarships, faculty excellence, and the K experience. 1833 Society, President’s Parents Leadership Circle, alumni Class Agents, and student philanthropy are some of the programs supported by the Kalamazoo College Fund staff. The Kalamazoo College Fund office is located on the 3rd floor of the Mandelle Hall Administration Building.